Carved through towering stands of pine, cedar, and madrone, the golf course offers some of the most spectacular scenery anywhere. Snow-capped mountain views complement a challenging layout to capture the golfer's attention throughout their round. This is a truly championship course offering breathtaking views, full of wildlife and the wonders of nature. 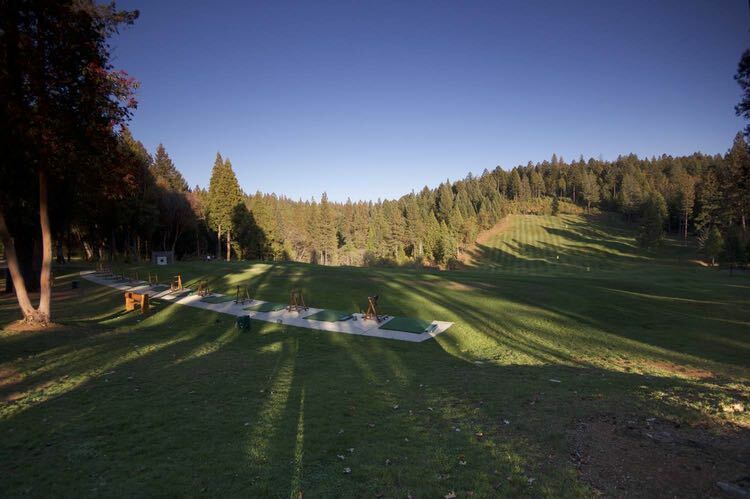 Located in the heart of the Apple Hill and gold rush regions of the historic Sierra Nevada foothills, Apple Mountain Golf Resort provides a convenient, year-round escape for the northern California golfer. The combination of the natural surrounding beauty, our attentive staff, and a fun and friendly atmosphere serves up a golf experience you won't soon forget! in California by Golf Channel's Golf Advisor. Spring Rates are in effect. for current conditions or for Driving Range information. Call the Golf Shop for more info! 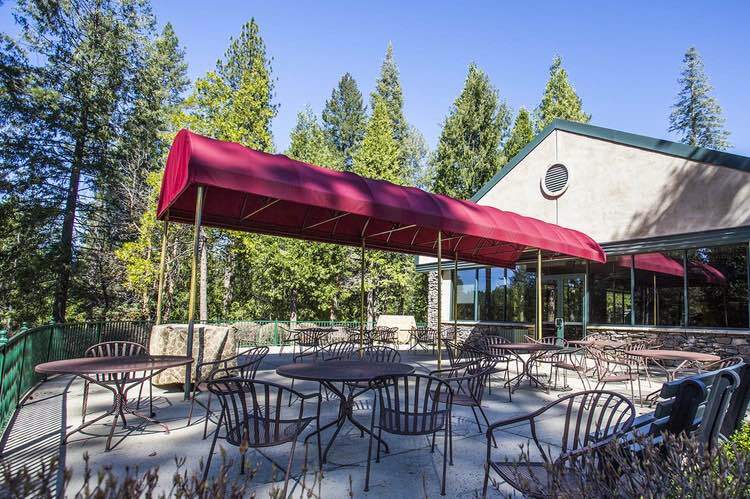 Whether it be a frosty beverage, tasty snack at the turn, or a delicious lunch after your morning round, the Apple Mountain Grille is here to please. 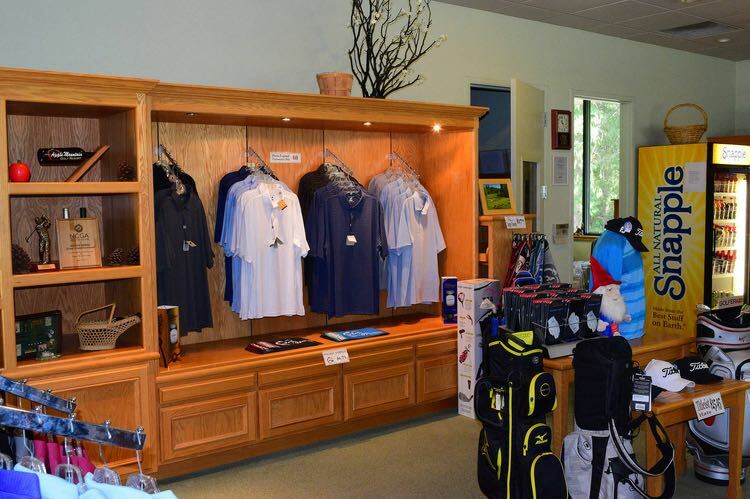 Our golf shop offers a wide variety of equipment and accessories; all with a level of personalized service not usually found in the big box stores. What better way to work on your game than practicing in a setting where the only distractions are wild turkeys, squirrels, and deer. Whether it be a frosty beverage, tasty snack at the turn, or a delicious lunch after your morning round, the Apple Mountain Grill is here to please.